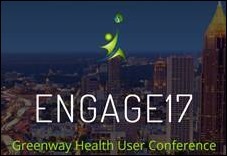 I missed the opportunity to write up the Greenway Health User Group Conference, held earlier this month in Atlanta. I was looking to find information on it when I stumbled upon the 2017 website, which is already live. In case you’re wondering, you have 377 days left to register. Optum Health held their user group this week, featuring keynote speaker Michael J. Fox. I’m always interested to see what kind of client events are cooked up at these events. Wednesday’s client block party was set to feature a band called Hairball performing “the greatest hits from the most popular hair bands of 80s rock.” If you have pictures, send them along and I’ll share. Some year I’d like to take the fall off and attend all the user groups that I’ve heard about for years but never made it to. Most of us only make it to a couple of vendors’ meetings in the course of a career, so it would be interesting to do the comparison. Kind of like baseball fans that spend the summer on pilgrimage to ballparks across the country, I could be a user group vagabond. Like millions of other people, I carry an EpiPen. I have a food allergy and thank goodness I’m an adult and can avoid eating things that might be suspect. 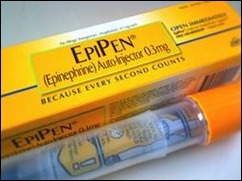 It’s tougher on children with severe allergic reactions. I had heard a couple of months ago about dramatic price increases, but today my inbox exploded with client questions about the situation. Now that Congress is involved and calling for an investigation, the price hikes are mainstream news. My clients were mostly asking for assistance with reports to identify how many patients have been prescribed EpiPens so that they can reach out proactively to discuss the situation and make sure patients who need them are getting them. Another client asked if I could help them automate a process to generate prescription orders to substitute a similar product on affected patients. Even though the manufacturer is seemingly responding to a free market economy, it feels sleazy. I’m glad I was able to help my clients out from an IT perspective, but the situation is just sad. CMS posted vendor global support letters for the Comprehensive Primary Care Plus initiative. I found the formatting of the letters odd, with all vendors strung together into a single PDF. Although they are in alphabetical order, the best way to find a particular vendor is to use your browser to search. There are a couple major vendors missing – hopefully their letters are just delayed. It’s no secret that I’m skeptical about precision medicine and its ability to make a difference for large populations. I was pleased to see this JAMA editorial that tackles the issue. It calls out a number of important points: the presence (or absence) of disease is driven by not as much by genetics as by behavioral and social factors; the difficulty in identifying disease predictors for complex conditions; and the assumption that large groups of patients will change their behavior to modify their risk profile, when faced with the information. We have clear and direct evidence on how to prevent many diseases and injuries (stop smoking, eat less, move more, wear your seat belt) yet it’s still difficult to move that needle. Our societal reliance on technology makes it easy to want to take a pill or use a laser or have robotic surgery, but not to do the basic preventive maintenance that the human body requires (sleep, exercise, healthy foods, etc.) The piece also mentions that the United States is lagging behind other nations in life expectancy and infant mortality, which are best addressed by broad-based rather than individual efforts. The funding of precision medicine initiatives corresponds with a decline in funding for public health efforts. The authors go on to mention reasons why precision medicine might just be the answer: helping target resources to those who are most at risk; the economic and societal benefits of previous precision medicine initiatives (such as newborn screening for metabolic diseases); and the ability to use genomics to target infectious diseases, which have long been a part of public health efforts. The editorial concludes that although there are “clear tensions at the intersection of precision medicine and public health” there are ways to move forward. However, we might still find that old-school interventions on nutrition, poverty, healthcare access, and education may have more benefit than personalized medicine. Although I’ve been generally skeptical, I’ve recently found myself in a place where personalized medicine may be relevant to my individual health. Although I’m waiting for results of genetic testing of affected family members, I’ve been combing through the literature trying to figure out what my options are depending on whether testing is positive or negative. Even as an educated, science-literate person, the evidence isn’t as clear as we’d like it to be and the process is frustrating. Depending on the results, I’ll likely have a consultation with someone other than the Internet, but for now that’s my approach. We’re also waiting on some copies of pathology reports from more than 20 years ago. It will be interesting if they actually show up in a timely fashion. The hospital doesn’t have anything in their electronic data repository before 1998, but hopefully we can track it down since it might make a difference. What do you think of personalized medicine? Has it impacted your family? Email me. Just wondering why its perfectly OK for a CEO to go from 2 million to 19 million in salary in a few years, yet be caught in a lie about their eduction (did NOT finish their MBA) but still keep their job, then use their political connections to mandate their product to be placed in schools, keep competition away with FDA pressure, raise prices 500% over 6 years, and yet, the physicians that take care of the patients, write the prescriptions, make sure they are used correctly, get burdened beyond belief for bonuses or penalties on pay increases of 0.5% per year for a few years then ZERO for a few years after… healthcare is so screwed up in the USA. It essentially says that the classic approach to medicine, that of, identify the problem, take a pill (or do a surgery) , eliminate the problem; will be of limited effectiveness if not useless in a world of personalized medicine. That old medical model must change if we are to really benefit from genomics. I fully agree. Take a look. She gets to keep her job and pay raise because the company is making more money under her leadership. I won’t argue that the physicians don’t deserve more, but rather ask why would their employers (or payers) be inclined to pay them more?